Anybody who has been following this 'blog' will know that the majority of the wildlife and nature photographs I take are from the 'flagship' game park of the many game parks South Africa has, the 'Kruger National Park' which is run by Sanparks. I thought this week I would introduce briefly to those of you who are not familiar (like I was before I came to South Africa) with the Kruger National Park and provide an overview of this outstanding game reserve which is located in the North Eastern corner of South Africa and bordering Mozambique and Zimbabwe. Lets explore, in this brief post and future posts, the endless possibilities this park offers both the local and international wildlife and outdoor enthusiast. 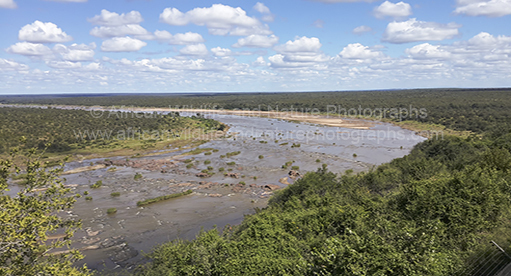 I say briefly, as it would take several posts to cover what the Kruger National Park has to offer as it is huge and varied, huge in area, varied in things to do and the ways to do them and vastly varied in the bird and wildlife species that inhabit the park both permanently or periodically. 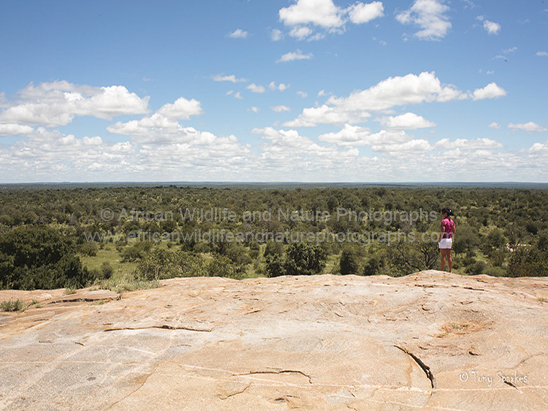 So let begin with some facts and figures, the Kruger National Park is some 20,000 sq kilometres (7,500 sq miles) in size about the size of some small countries!! This equates to about 360 kilometres (220 miles) in length and 65 kilometres (40 miles wide) and spans two of South Africa's provinces (Mpumalanga and Limpopo). The Kruger National Park was first proclaimed in 1898 as the Sabie Game Reserve by the then president of the Transvaal Republic, Paul Kruger but only became South Africa's first game or national park in 1926. Over recent years the park has become part of the Great Limpopo Transfrontier Park which links parks in Zimbabwe and Mozambique which all form part of the Peace Parks Foundation. The Kruger National Park has 11 main gates in which the public may enter/exit which includes border crossings into Mozambique (Pafuri & Giryondo). Once inside there are 12 main rest camps where the public can stay (these also include camping facilities). These are in order, from north to the south Punda Maria, Shingwedzi, Mopani, Letaba, Olifants, Satara, Orpen, Skukuza, (main administrative centre) Lower Sabie, Pretoriuskop, Berg-en-dal and Crocodile Bridge. All with the exception of Mopani, Olifants and Orpen rest camps have well appointed camping facilities. The Kruger National Park further provides smaller bush camps (a little more rustic) Bateleur, Sirheni, Shimuwini, Biyamiti and Talamati where only paying guests may enter the camp and surrounding areas. There are also private concessions and private lodges which provide 5 star luxury, all located within the confines of the park. As the Kruger National Park is criss-crossed with both tarmac and dirt/gravel roads, this gives the opportunity for the public to 'self drive safari' within the park and stay overnight at any of the camps mentioned. If you prefer you may have 'guided' game drives, bush walks, go mountain biking, 4x4 off road trails (some over night), morning, sunset and night game drives and many more options are available in the Kruger National Park. In future posts I will provide more insight and detail into the Kruger National Park, its wildlife, birds, flora and fauna all of which this stunning park has in abundance.